From his first North American lectures in 1969 Yogi Bhajan set out to move people away from the Piscean viewpoint to an Aquarian consciousness. He specifically taught Laws of Life and Laws of the Universe – Laws of Relationships and Laws to Live By. In any one class he would touch on any number of topics. 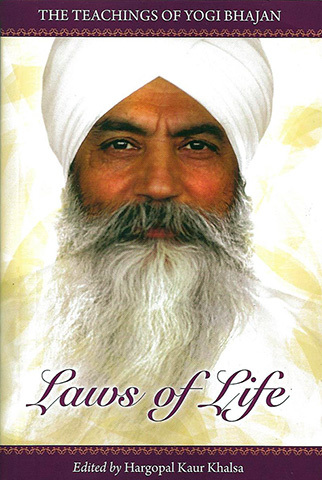 This deceptively little book will give to you an introduction to the profundity of Yogi Bhajan and the breadth of his teachings, and its collection of quotations and meditations will provide an excellent basis for living a life filled with joy, kindness and compassion. 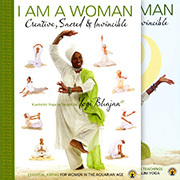 Yogi Bhajan shared an ageless wisdom from ancient times. The yoga and meditations he taught did change lives. They put people in touch with their souls, with their own being, with infinity. The Law of Karma is well known – “as you sow then so shall you reap.” Yogi Bhajan took this to another level, to go beyond karma, and showed us how this could be accomplished. One way was to follow Dharma – appropriate, correct and morally upright behavior necessary for the maintenance of natural order. In his own words – “Where there is Dharma there is no karma”. Another approach concerned the development of intuition, in order to know in advance the impact and possible consequences of a particular action or behavior. A third was the identification of any situation which may have a less than graceful outcome. Part of the beauty of the gems and insights from Yogi Bhajan is the personal experiences they provide, and the joy in being able to pass them on to others.